The Wisconsin Badgers biggest area of need with the 2014 freshman recruiting class came at offensive line, wide receiver and secondary. Of the 25 players they signed to National Letters of Intent, 16 of them played those three high-need positions. office today, adding to Coach Gary Anderson’s first recruiting class. 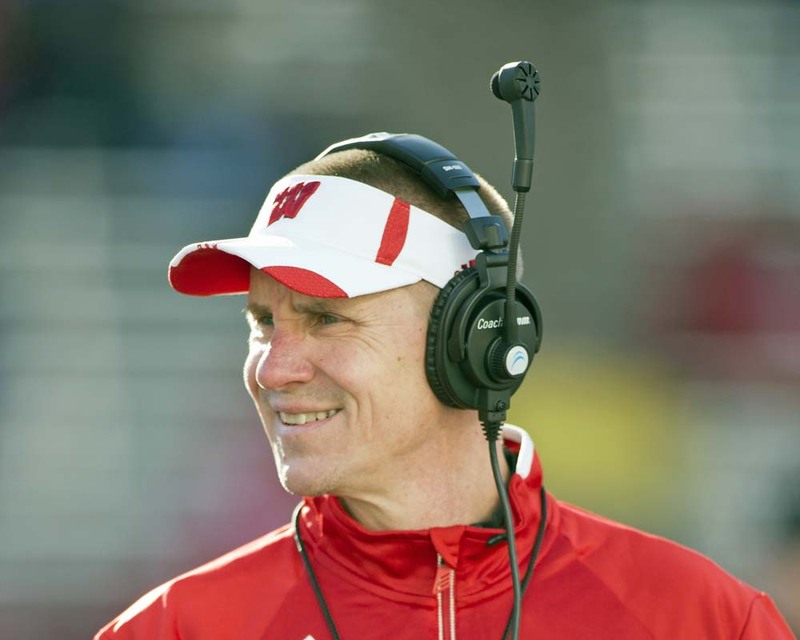 The 2014 class is expected to be one of the highest-ranked at Wisconsin in years. It’s expected to rank in the upper third in the Big Ten Conference. Gordon, who rushed for 1,466 yards and 12 touchdowns this season, is seeking input from the NFL’s Draft Advisory Board. Gordon said his father wants him to return to Madison, while his mother initially offered the same advice, more recently said she wants him to explore leaving early. 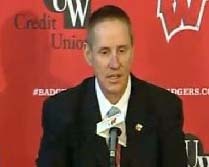 Wisconsin coach Gary Anderson told Gordon it would be in his best interest to return to Madison. Draft eligible underclassmen must declare for the 2014 draft no later than Jan. 15. 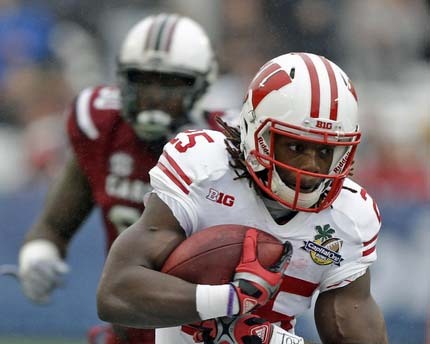 Gordon said he’ll make a decision after the Badgers Capital One Bowl Game against South Carolina. 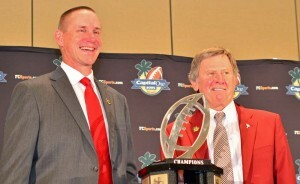 spot in the BCS Bowl picture. The Badgers started the day Saturday ranked 15th in the BCS Standings, but fell to 21st when the latest BCS Standings were released on Sunday. The Badgers (9-3, 6-2 Big Ten) also fell to 21 in both the USA Today coaches’ poll and the Associated Press top 25 poll, both of which came out on Sunday. The end result will likely leave the Badgers headed to either the Capital One Bowl in Orlando or the Outback Bowl in Tampa. Both games are played on January 1st and feature matchups against SEC teams. If Ohio State stays in the National Title game and Michigan State heads to the Rose Bowl, then Wisconsin likely would land a spot in the Capitol One Bowl against the loser of the SEC Championship game between Auburn and Missouri. announced that he won’t return for his senior season in Madison next year. French made the announcement on his Facebook page on Thursday night. “I want to personally thank everyone who has supported me throughout my career in football,” he wrote. “The coaches have asked me to forgo my senior season and focus on my career outside of football after the season. The Facebook post came hours after UW coach Gary Anderson told reporters Jack Russell would handle field goals and extra points this week at Illinois and hat linebacker Chris Borland would be ready for kicks of 45 yards or longer. French started the season at Wisconsin’s No. 1 kicker. 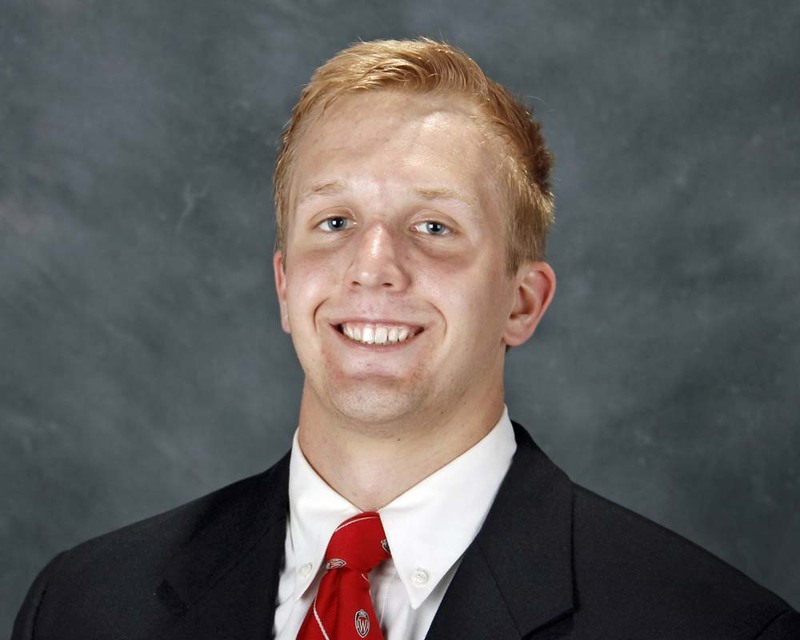 He has made 5 of 8 field-goal attempts this season and 18 of 29 for his career at Wisconsin. Wisconsin football coach Gary Anderson doesn’t like making any single game bigger than the next. But after Saturday’s 35-6 win over 19th ranked Northwestern, Anderson was referring to his teams win as a “big win”. 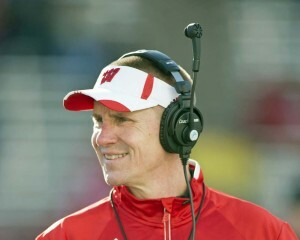 The Badgers (4-2 overall, 2-1 Big Ten) have already lost twice and they know their margin of error is down to nothing. When asked what qualified this as a big game, Anderson mentioned the emotional toll of the two losses his team had suffered this season. Until yesterday, Northwestern had little trouble piling up yards and scoring points. But the Badgers held the Wildcat ground attack to 44 yards. Northwestern completed just 43% of its passes, allowed seven sacks, went 2 for 17 on 3rd downs and punted 11 times. The Badgers have had issues with spread offenses, but they had all the answers against the Wildcats on Saturday at Camp Randall. Northwestern started the day averaging 474 yards a game, but finished just over 200 yards and settled for two field goals all day. The Badgers finished with more than 500 yards of total offense. 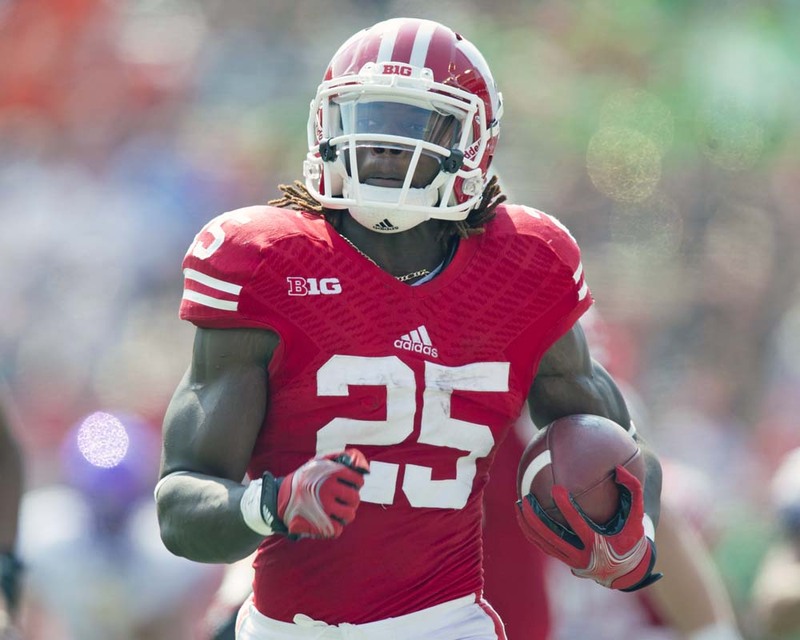 Melvin Gordon got his groove back in the rushing department, hitting for 172 yards. The Badgers now play back-to-back Big Ten road games, at Illinois and at Iowa, before finishing with 3 out of the last 4 at Camp Randall. Stadium on Saturday afternoon (2:30pm). It’s a big game for the Badgers in terms of their current standings in the Big Ten’s Leaders Division. They also want to put on a good show for the many recruits that will be on hand to check out the UW Campus. Wisconsin coaches can’t comment on prospects until they sign a National Letter of Intent, but they’ll be pulling out all the stops, trying to impress the young players they hope to have playing in Madison in the near future. The Badgers currently have 16 known commitments in its 2014 recruiting class, including seven from Wisconsin. The Pac-12 Conference admitted Monday that the officials who worked the Wisconsin-Arizona State game Saturday night erred in the final minute. Pac-12 commissioner Larry Scott said the league reprimanded the officials and took unspecified sanctions against them. Wisconsin fell to Arizona State 32-30 when the Badgers weren’t allowed to run another play in which they would have clocked the ball and attempted a short game winning field goal. The Badgers could have attempted the game winning field goal with :18 left in the game, but head coach Gary Anderson said if UW faces a similar late-game situation in the future, the staff will not change its approach. Wisconsin is moving on now to preparations for their Big Ten opener, this Saturday afternoon against Purdue at Camp Randall Stadium.